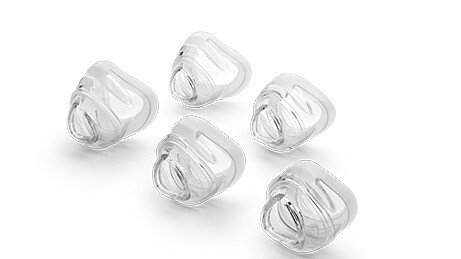 The nasal cushion for the DreamWisp Nasal CPAP Mask is engineered to help minimize leaks while providing a wide-open field of vision, allowing you to see and do more before falling asleep. 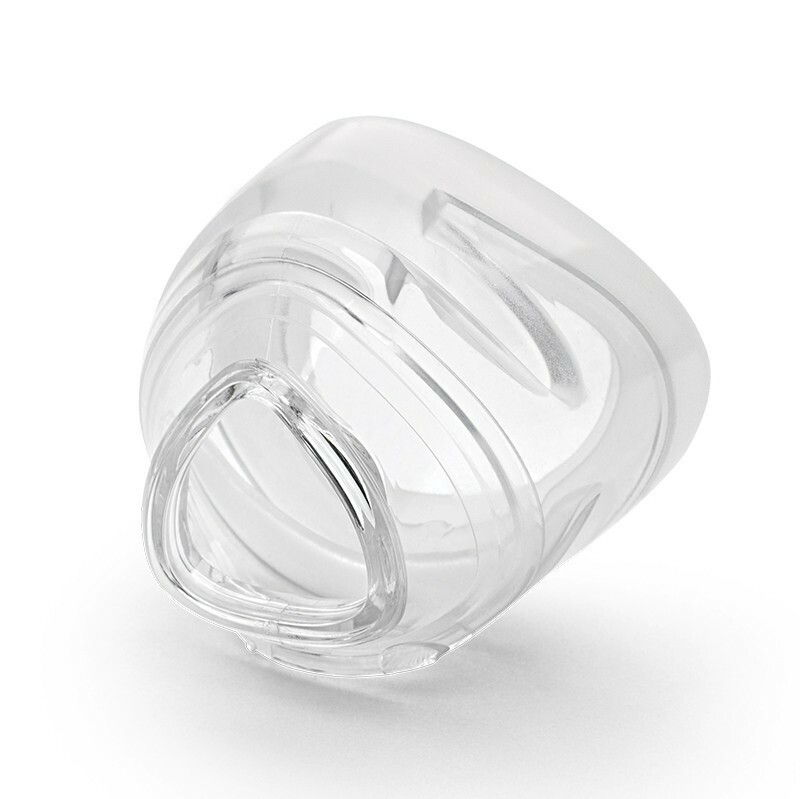 This product is a replacement for the original cushion that comes with the DreamWisp Nasal CPAP Mask and is available in a selected size. Ships TODAY if you order within the next 8 hours and 53 minutes. This cushion is intended to fit only the DreamWisp Nasal CPAP Mask and will not work with any other mask, including the DreamWear or Wisp masks. Choose the best size fitting your face, and stock up on replacements! This product is designed for periodic replacements of the cushion for health and safety reasons, as well as for performance-related reasons. Over time, any CPAP mask cushion will begin to lose its ability to create a quality seal. By replacing the cushion, you can possibly restore the mask to the same level of performance it had when new. Available Sizes: petite, small, medium, large, and extra large sizes. Completely detach the cushion from the mask. This will help you clean the hard to reach places on the cushion. Using CPAP Mask Wipes, gently scrub the interior and exterior of the cushion, making sure to remove any deposits. You may also use mild, fragrance free soap and water. Make sure to dry completely before next use. Reattach the cushion to the mask. Do not use household cleaners such as sprays or bleach to clean the mask, as this can cause your therapy air to become polluted and leave a residue. The residue can make you very sick. Do not boil the cushion, as this can weaken or damage the materials used in the mask or cause damage or loss of the product.